A tracheotomy procedure may be medically necessary for a variety of different reasons. As is the case with all other medical procedures; however, there is also the risk of complications arising from the procedure. There is also the risk of medical malpractice taking place. If you or a family member believe you may have been the victim of tracheotomy malpractice, it is important to understand as much as possible about this procedure as well as your legal rights, including your right to compensation for injuries suffered. The tracheotomy procedure, which is also sometimes referred to as a tracheostomy, is a type of medical procedure which is performed using a breathing tube. These procedures are frequently performed on patients who have neck or facial cancer or who have experience significant facial injuries. Patients who have suffered from recurrent pneumonia or any other type of breathing issues may also have undergone a tracheotomy. During this procedure a tube is inserted into the trachea. An incision must be made in the neck to allow the insertion of the tub. This procedure then allows the patient to breathe through the tube instead of the mouth or nose as they normally would. A tracheotomy is sometimes performed as the result of an emergency. In this instance, the procedure may be performed rapidly due to the emergency nature of the situation. While an emergency procedure may be performed in a slightly different manner, a tube will still be positioned in the neck to improve the patient’s ability to breathe. When performed on an emergency basis, the procedure is referred to as a cricothyroidotomy. This typically occurs as the result of some type of traumatic injury. While a tracheotomy is performed to assist with difficulty in breathing, in some instances breathing problems may still be present even after this procedure has been performed. It should be noted that it is normal to experience some difficulty in the process of learning once again to breathe. With that said, is difficulty in breathing persists, this is not normal. Reasons for possible difficulty in breathing could include blockage by pressure, mucus or blood. Such problems can usually be repaired rather easily. Breathing problems may also; however, be the result of medical malpractice or tracheotomy malpractice. Tracheotomy malpractice can occur when the physician does something during the course of the tracheotomy that is not within the standards of accepted care or treatment that results in either injury to the patient or the death of the patient. The consequences of tracheotomy malpractice can be quite severe. 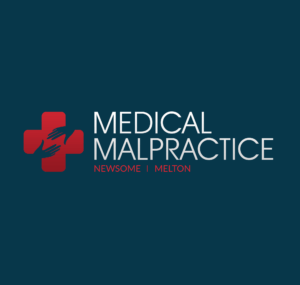 Individuals who have suffered as a result of malpractice may be due to receive both compensatory as well as punitive damages as a result.